I'm in love with all things Bath and Body. From lotions to body washes, I gotta have them! Bath & Body Works gets excited when they see me coming! 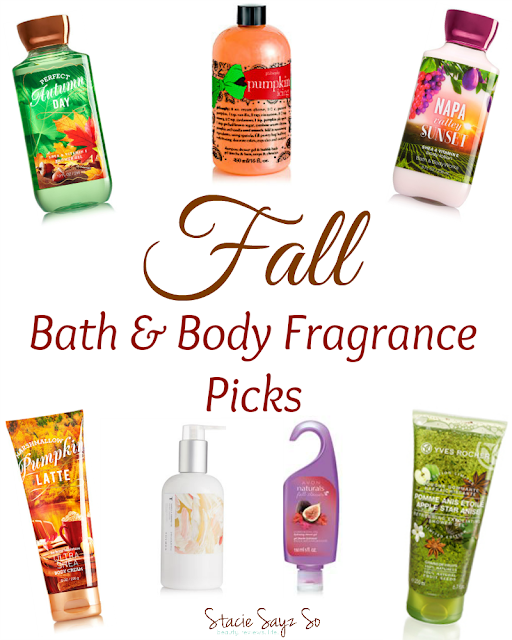 Now that Autumn is almost here, it's time to stock up on Fall Bath and Body fragrances. Below, you'll find some of top choices. Of course, Bath & Body Works is my favorite! 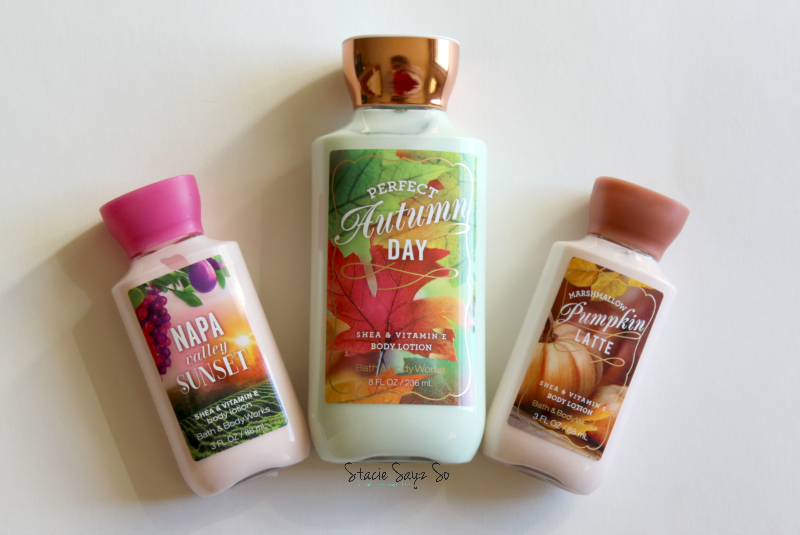 What is your favorite Fall Bath and Body scent? Do you switch up your fragrances when the seasons change? Well you know my favorite - AVON! Have a wonderful weekend! I love Avon too! My mom used to sell it and I've used it every since. Oooh, everything looks like it smells so good! I have this Bath and Body works splash that I wear often, but I can't think of the actual name of it! It smells like a version of "Sweet Pea" but for grown-ups, lol. Bath & Body Works is the bomb! I can't stay out of that store!